The WNBA’s free agency period is a much-anticipated portion of the W’s yearly calendar as said period will go a long way in determining what teams will look like at the beginning of the upcoming season. That free agency period also peaks everyone’s interest because of the standout names that become free agents as that time commences. 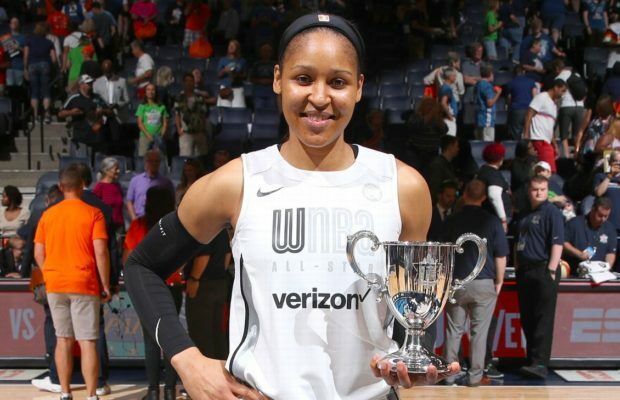 Among this year’s list of notables were Maya Moore, Tina Charles, and DeWanna Bonner, but the Minnesota Lynx, New York Liberty, and Phoenix Mercury respectively all signed those players to “core” deals. In WNBA circles, signing someone to a “core” is practically the same as a franchise tag in another sport – meaning a team gains exclusive negotiating rights to a player. A franchise tag or a core may not be what most free agents want to hear, especially when they are in search of a better deal, but it is an option teams almost always wield when possible. The list of noteworthy free agents reads like a who’s who – including Seimone Augustus, Rebekkah Brunson, Chelsea Gray, Allie Quigley, Epiphanny Prince, and Natasha Cloud.